Everyone needs a go-to dessert recipe to keep on hand for impromptu guests and last-minute cravings, and this simple 5-ingredient Key Lime Pie Custard is sure to be a hit! 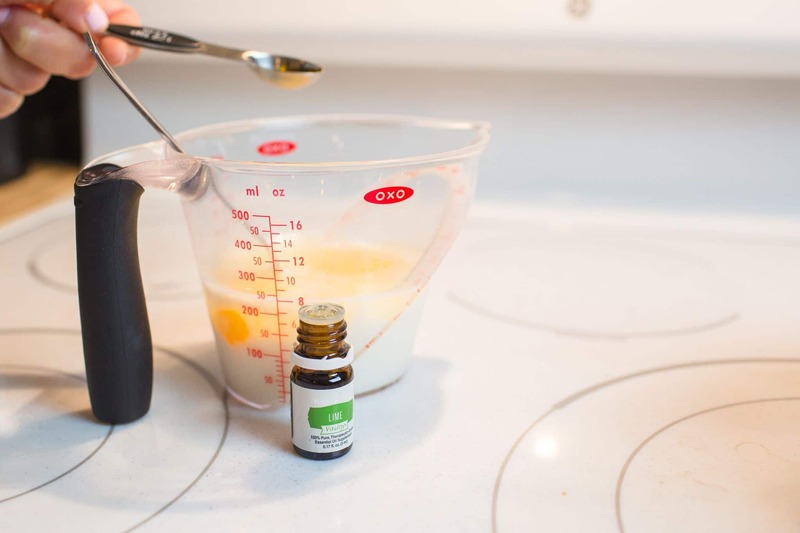 It comes together fast with just a few staples and one creative ingredient, Young Living’s Lime Vitality Essential Oil. 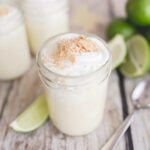 While this custard isn’t quite the same as a full-fledged key lime pie, it is BETTER and such a refreshing treat. With just 5 ingredients, you’ll make these all summer long. If you don’t have lime essential oil, you can substitute it for regular lime extract. Or, if you’re feeling extra creative, try making a homemade orange infused chocolate custard. Just add cocoa powder and Young Living’s Orange Vitality Essential Oil instead of lime extract. 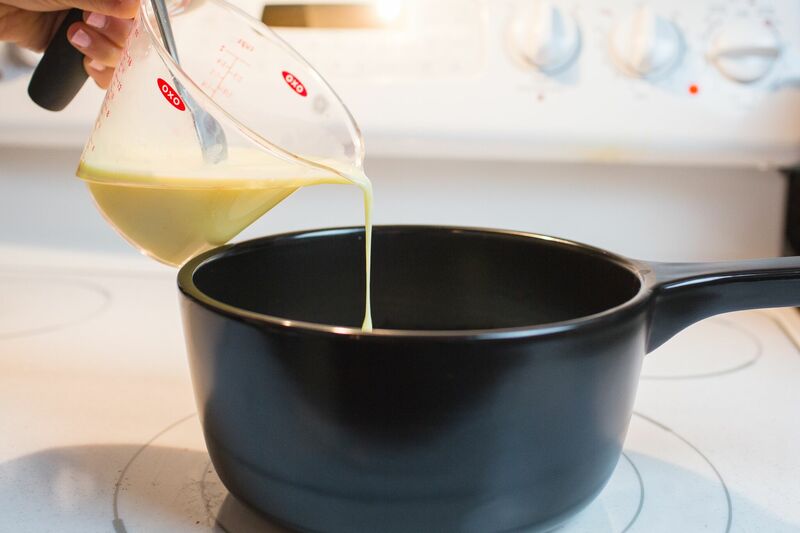 Step 1: Add the 1 1/2 cups of milk to a medium size sauce pan. Step 2: Then add the sugar to the pot and mix. 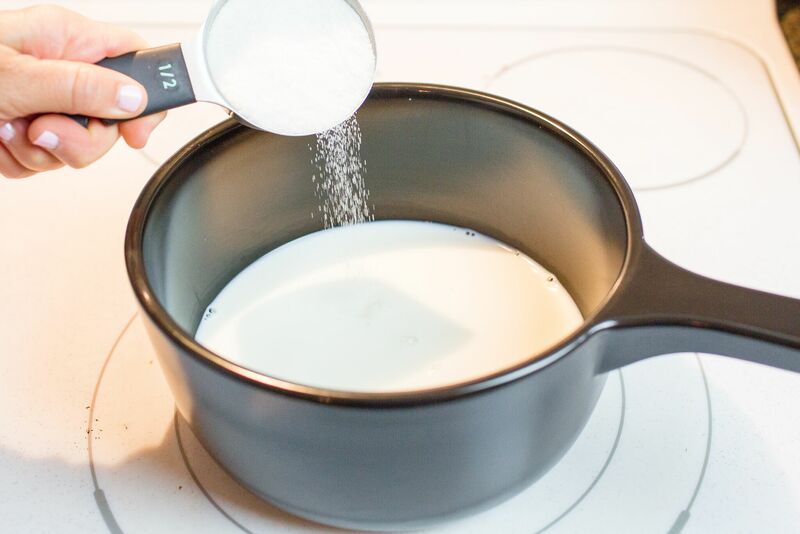 Step 3: In a large measuring cup add the remaining 1/2 cup of milk, the corn starch and Lime Mix really well until the corn starch is dissolved and there are no lumps. Then add in the eggs and the Young Living Lime Vitality EO. Mix again until combined. Step 4: Turn stove on to medium heat and start stirring in your corn starch slurry. Step 5: Continue to mix until mixture comes to a boil. Step 6: Then pour into your mason jars or glass bowls. 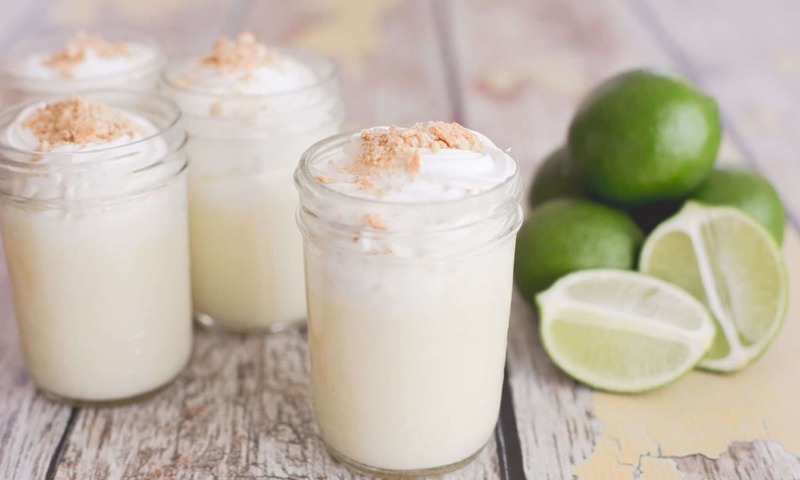 We garnished our custard with whipped topping and crushed graham cracker crumbs for a truly Key Lime pie feel. Serve warm or keep in the fridge for a week. 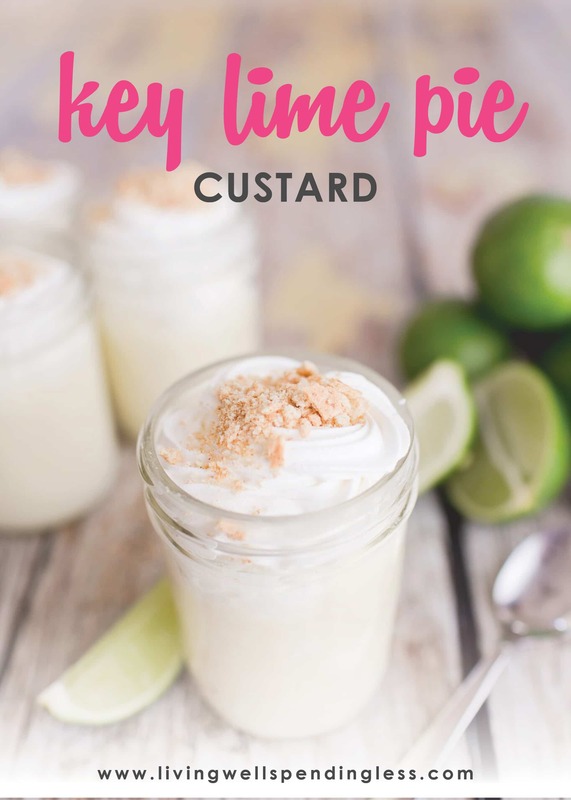 This simple 5-ingredient Key Lime Pie Custard comes together fast with just a few staples and one creative ingredient, Young Living’s Lime Vitality Essential Oil. 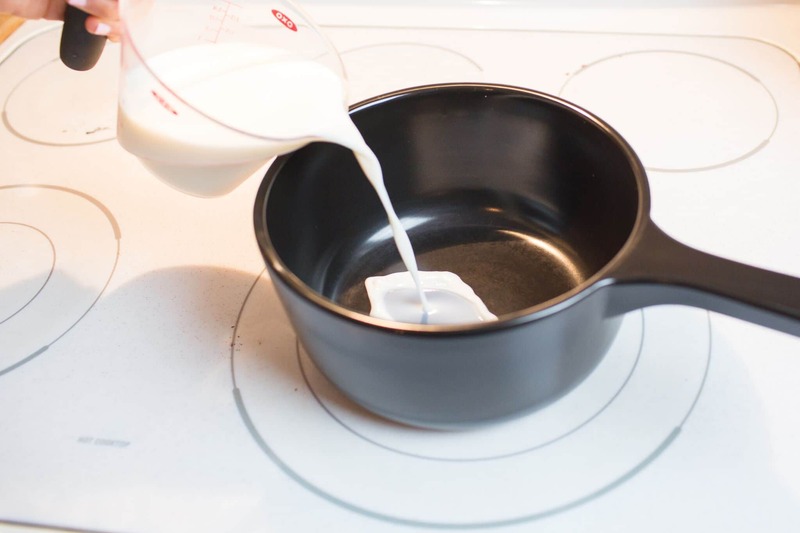 Add the 1 1/2 cups of milk to a medium size sauce pan. Then add the sugar to the pot and mix. 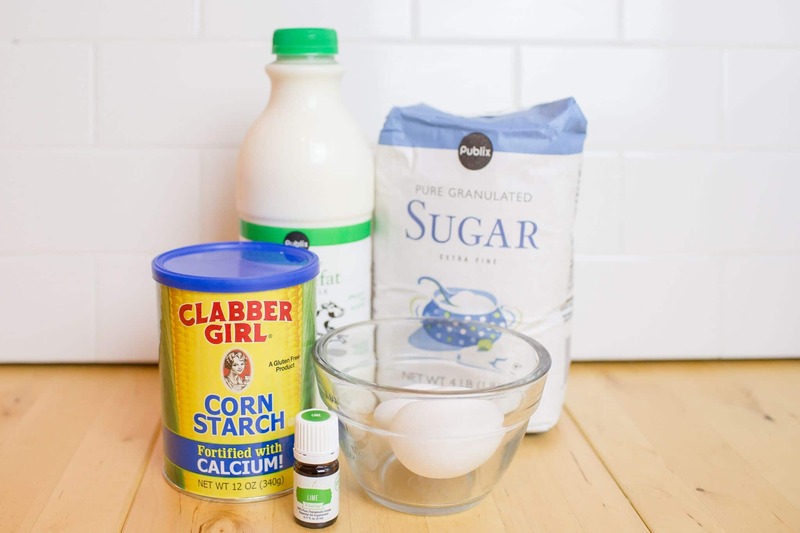 In a large measuring cup add the remaining 1/2 cup of milk, the corn starch. Mix really well until the corn starch is dissolved and there are no lumps. Then add in the eggs and the Young Living Lime Vitality EO. Mix again until combined. 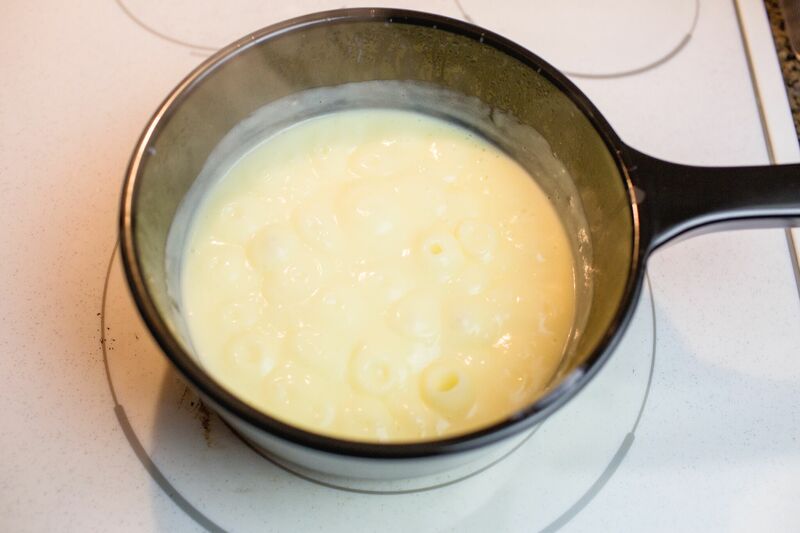 Turn stove on to medium heat and start stirring in your corn starch slurry. Continue to mix until mixture comes to a boil. Then pour into your mason jars or glass bowls. We garnished our custard with whipped topping and crushed graham cracker crumbs for a truly Key Lime pie feel. Serve warm or keep in the fridge for covered for up to a week. To make a chocolate orange infused custard: Just add 2 TBSP of cocoa powder and Young Living’s Orange Vitality Essential Oil instead of lime extract. This recipe looks incredible! Summer at it’s best if you ask me. I can’t wait to try it. Thank you for sharing! Games such as cool mathematics games is perfect for you to improve your strategic thinking. http://coolmathgamesjunction.net Regularly engaging in each of them will enhance your thinking by far.